I have read more articles, blogs and books than you can possibly imagine on the subject of how parents of a child on the Autism spectrum accept and deal with the diagnosis. But what about when extended family does not accept an autism diagnosis because of cultural differences? Well, allow me to share my story. To set the stage, my story takes place 11 years ago when autism awareness was not very widespread and the incidence was 1 in every 150 children. Today, the Centers for Disease Control and Prevention (CDC) estimate that 1 in every 68 children has been identified with Autism Spectrum Disorder (ASD). To complicate our situation, we are from the Asian culture, where there is a stigma associated with illness, disease and/or disability. As a result, it is common for family to deny the existence of a problem or disorder. We recognized the first signs of something different with our son Christopher (Chris) when he was 6 months old. It began with a sporadic twitching. When he did not speak his first coherent word by 2 years old, we knew there was something more going on. Chris’ grandparents kept telling us that we shouldn’t worry – that boys are slower and nothing was wrong with him. Regardless, we sought a psychological diagnosis and received confirmation that he was on the Autism spectrum. We immediately began speech therapy, Applied Behavior Analysis (ABA) therapy sessions, and hired an educational aide to support him during daycare hours. Chris’ grandparents told us that we were wasting our time and money. We were told that we should spend time “tutoring” Chris instead of paying someone. We tried to educate them about the markers for autism and showed them how Chris exhibited similar symptoms. Their reaction was that we were inexperienced young parents and advised us to exert more discipline in our parenting. We did not allow these reactions to dissuade our efforts and we focused on doing what was best for Chris. In Asian culture, some would call us disrespectful for dismissing their advice, as they are “older and wiser.” In North American culture, one might say their advice was disrespectful to us as parents! This is an example of the clash of two cultures that we face. With all that said, one core value we do reinforce and model is respect. Even with that in mind, we knew staying the course was the right thing to do in this instance. It’s been 10 years since Chris’ diagnosis. 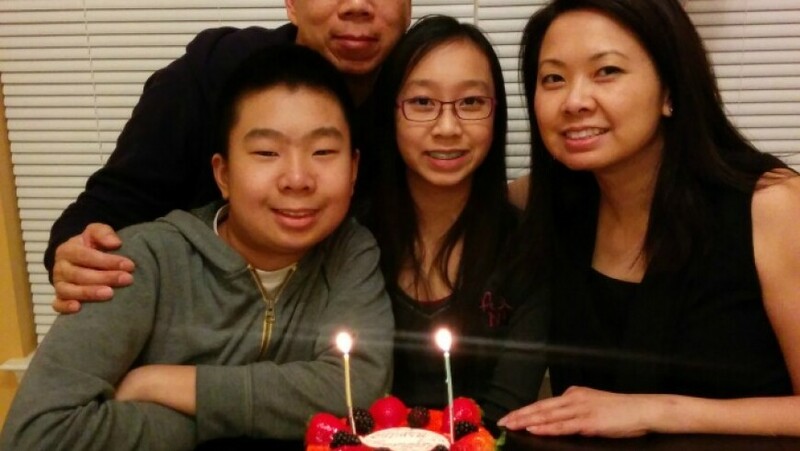 As autism has gained heightened awareness globally – especially in Asian countries – Chris’ grandparents are now more accepting of his diagnosis, and they’re grateful that we were as adamant about pursuing a treatment plan as we were. Thanks to early intervention, Chris is now thriving and in the regular school system in his age appropriate grade. We got there through persistence and resilience. We love his grandparents no less for their past opinions, though. We understand that it is how they were brought up, and we respect that. They have come to respect us, too – and we all can enjoy Chris together. Elvie Gee is the Program Manager, Diversity & Talent Management for the Office of Diversity & Inclusion based in New Brunswick, New Jersey. Elvie is an HR professional who has lived in Cincinnati, Toronto and Montreal (her home town). Away from work, she enjoys spending time with her family discovering the best foodie eats & attractions in the place they call home, as well as travelling.